What Is the Worcester Tea Party ?? The Worcester Tea Party is a response to the abuses of our government by a corrupted political class. In ways both large and small our government has not been used to serve the vast majority of the people of our nation. The vast wealth of our nation has been squandered with little lasting good to show for it. A few connected individuals have profited while most of us struggled to keep up. In too many cases the rich and powerful have evaded justice while injustice has been inflicted on the poor and powerless. Our reputation in the world has been pockmarked by their feckless policies. Our friends no longer feel they can trust us. Our enemies see us as a joke. The Worcester Tea Party is our commitment to a government of the people, by the people, for the people. Self-selected special interests have thwarted the will of the American people and brought our nation to the brink of bankruptcy and decay. It is this corrupted political class that has failed. They have failed our founding ideals. They have failed all of us. We believe that all of our problems can be solved, and will be solved by the American people. The Worcester Tea Party is a free education organization Political correctness is a tool used by the corrupted political class to control and silence their opponents. We are committed to having the freest and most open conversations about the challenges facing our nation. We believe that the future of our nation depends on us forging solutions out of ideas. We do not hold some secret solutions, but a proven method by which we can determine solutions. We believe in the right of people to think for themselves and make the choices they think are best. 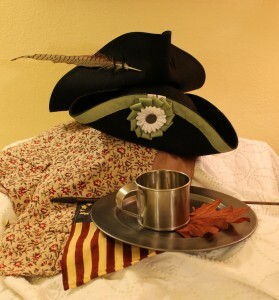 The Worcester Tea Party is an opportunity for all those that wish to take it. All are welcome to attend, listen, present and debate. Because we believe it free exchange of ideas we believe there is nothing that cannot be tested. Controversial opinions will be voiced and debated and when appropriate rejected. There can be no barriers allowed to block our pursuit of the truth. The Worcester Tea Party is our duty to our children and our parents. As Americans we stand on the shoulders of giants. Washington, Jefferson, Lincoln, all have contributed to elevating us by helping forge ideas into institutions. Today we are the inheritors of their labor and inspiration. We do not shirk from our role in making our politics and our government work. Quite the contrary we jealously guard our duty to this great experiment. Our actions are informed by the knowledge that “Freedom is never more than one generation away from extinction.” We received these gifts from our parents, we will make our contributions, and as mortal beings we will pass these great gifts on to the next generation of Americans.